Looking for tasty tidbits for the crowd to nibble on? 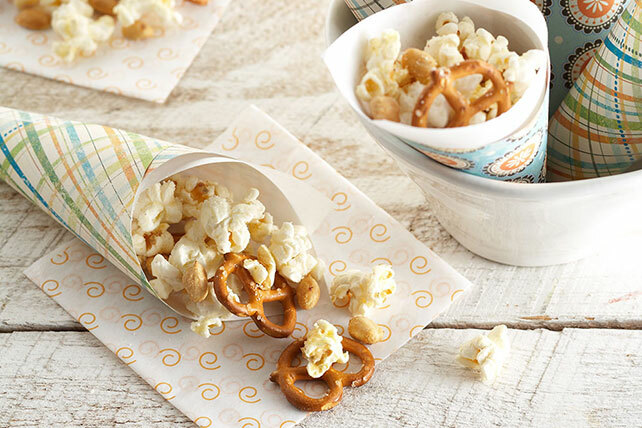 Try this easy-to-make mix of popcorn, pretzels and nuts tossed with butter and Parmesan. Toss popcorn with butter and cheese in large bowl. Add pretzels and nuts; mix lightly. Substitute PLANTERS Mixed Nuts for the peanuts. Store in tightly covered container at room temperature up to 24 hours before serving.